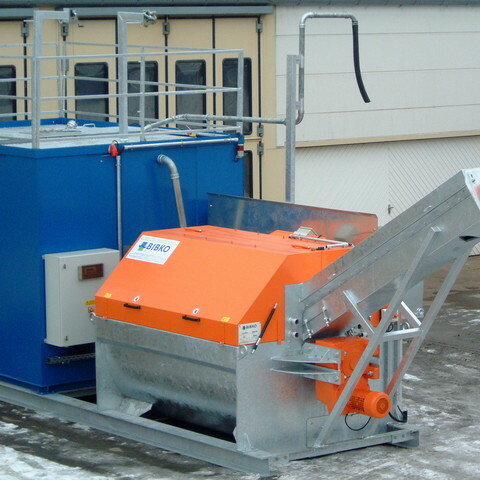 Do you need to save more time cleaing our your Mixer Trucks? 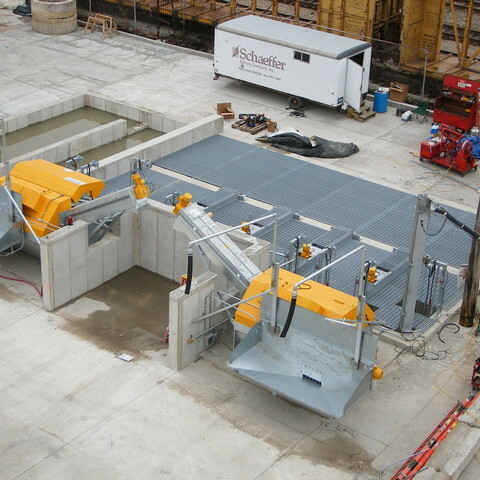 A BIBKO 5M or 10M buffer will allow the mixer truck driver to dump his return concrete and washout water in a mater of seconds allowing him to get back under the plant for his next delivery. 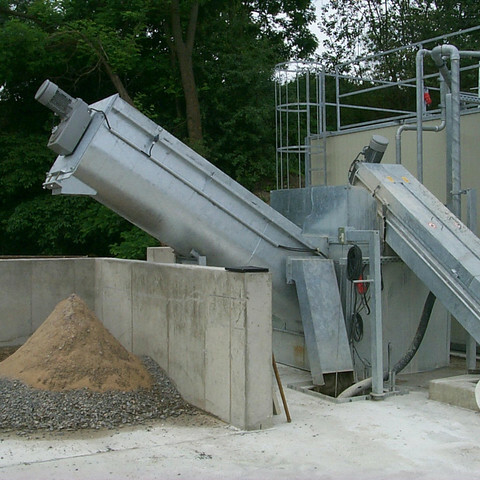 The BIBKO buffer comes in a 6.5 cubic and 13.5 cubic yard capacity and can handle up to 12 mixer trucks. A buffer stores returned concrete from many trucks and meters it into the BIBKO concrete reclaimer at the proper rate. 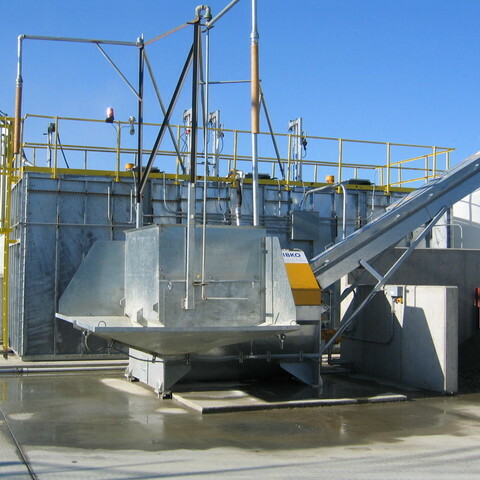 The basic BIBKO Buffer comes complete with galvanized steel body, feed hoppers, interface to BIBKO reclaimer and wiring, plumbing, testing and training of staff.